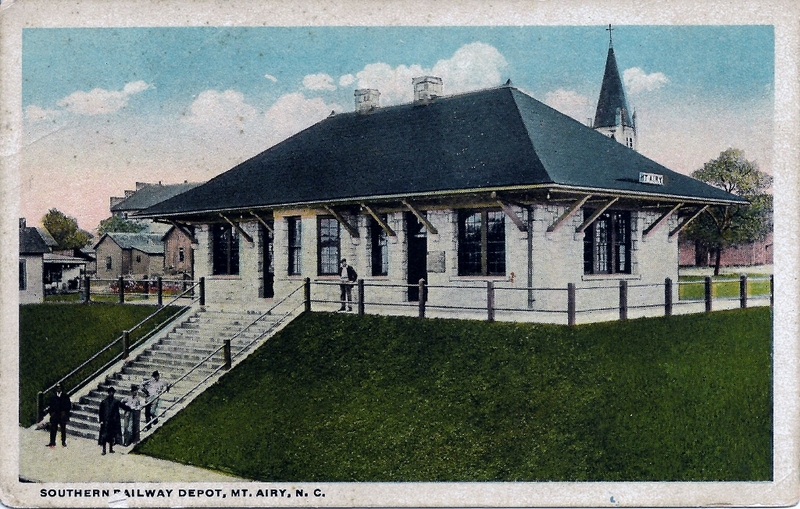 The sleepy village of Mount Airy, North Carolina, incorporated in 1885, began to wake up and prosper with the coming of the railroad in 1888. The first train of the Cape Fear and Yadkin Valley Railroad arrived on May 28, 1888. It left Fayetteville at 8AM on a trial run to Mount Airy and arrived 12 hours later. A grand celebration took place three weeks later on June 19-20 with many political dignitaries including the governor on hand. Over 5,000 people took part in this huge celebration which included speeches, a parade, music by the Lexington Silver Cornet Band, the Mounty Airy Cornet Band and the Granite City Band plus dancing into the night at the old Globe Tobacco Warehouse. That was quite a large celebration for a town of 300-400 people! By 1889, the town’s industry had begun to grow as the railroad made possible the shipment of goods. A listing of industry for Mount Airy in 1889 included: 4 cotton factories, 3 woolen mills, 11 tobacco factories, 4 tobacco sales warehouses, 4 grist mills, 4 saw mills, several machine shops and blacksmiths, and shipments of vegetables and fruits. 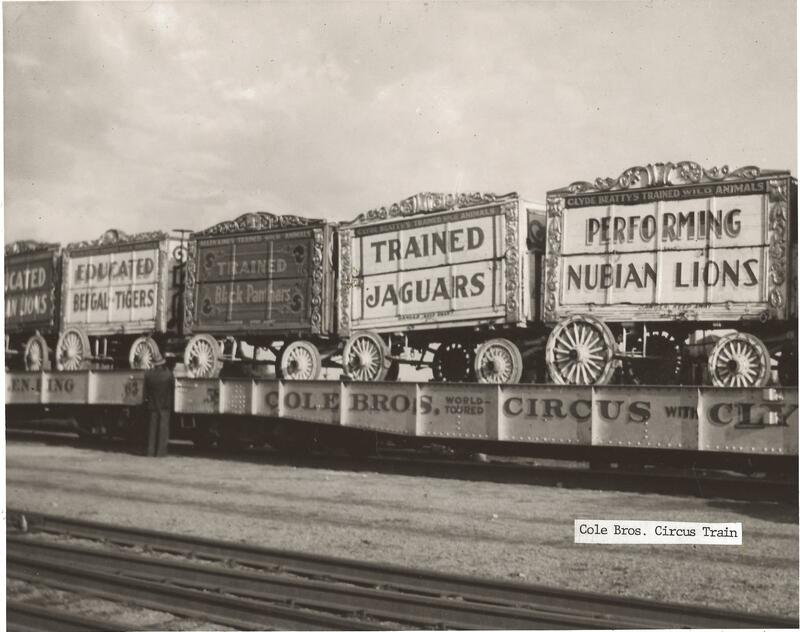 On October 12, 1899 the circus came to Mount Airy by train. Newspapers also covered stories of the arrival of entertainers on the train who were performing at the Galloway Opera House. 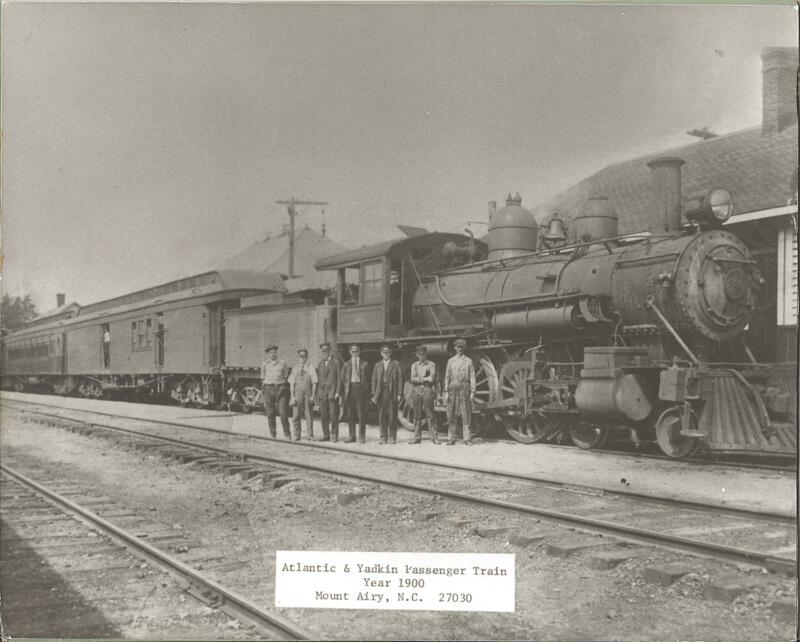 In 1897, the Caper Fear and Yadkin Valley Railroad was purchased by the Southern System and the Atlantic Coast Lines and eventually the line from Sanford to Mount Airy became the Atlantic and Yadkin. 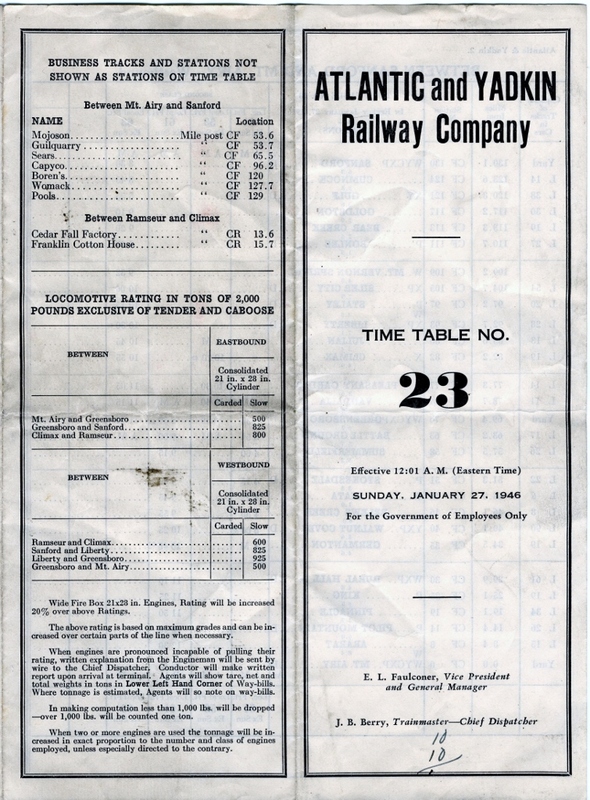 This line ran on passenger train daily in each direction between Mount Airy and Sanford but a few years after 1900, the service was increased to two trains. This was in addition to the freight trains which operated on a different schedule. The round trip from Mount Airy to Winston-Salem cost three dollars. 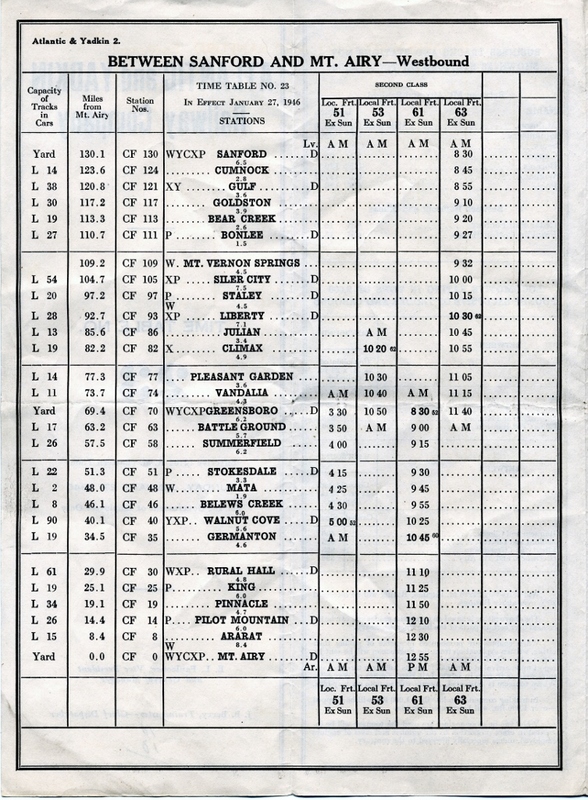 Passenger train service for the A & Y came to an end on April 29, 1939, a casualty of the automobile age.